This page contains some of the Destiny 2 Easter Egg that may have appeared in Destiny 1 and now in 2. You'll be surprised with a few things there. Like any other game, Destiny 2 has their own Easter Eggs. Welcome to the Destiny 2 Easter Egg List! As of now, we’re still scrambling and seeing what other possible things are in this game. We’ve seen the new and reworked classes. But Bungie couldn’t have just overhauled everything! Here are some of the Destiny 2 Easter Eggs that we found in the game. 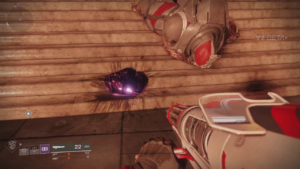 In Destiny 1, there’s a purple ball lying around the tower. Players can kick it around and see it bounce around. 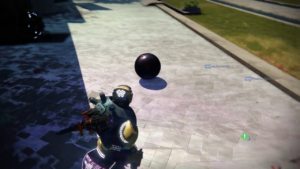 However, when you get to Destiny 2, you’ll see that the ball now is completely deflated. Who deflated it? Nobody knows. Unfortunately, the little purple ball met an untimely demise. If the player remembers the hanger then, you’ll remember in Destiny 1 that there’s a jukebox playing a Paul McCartney song. 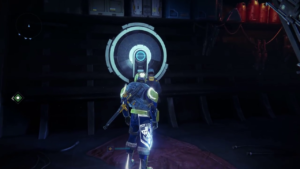 However, in Destiny 2, you won’t be able to see the jukebox since it’s blocked off. But upon returning to the hanger, listen closely to the steel walls. You’re going to hear the same song playing. Unfortunately, the song doesn’t last very long before it completely goes dead. It’s a heartbreaking end for the little jukebox that livened up the hanger but at least hey, you heard its last words. 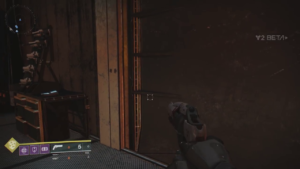 As of now, these are the only Easter Eggs that we’ve found especially in Destiny 2. After all, Destiny 2 Easter Eggs may appear in all the missions. Although we’ve seen Bungie do a great job in reworking the classes, let’s see if the classes themselves also have some Easter Eggs. After all, we have the reworked Sunsinger class now known as the Dawnblade. Then, there are some PvP maps like Volstok that just had some reworking. Who knows? Maybe there are a whole lot more.